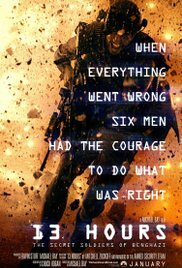 Michael Bays Benghazi movie was snubbed at the Academy Awards by the Hillary liberals. Maybe if instead of being a nationwide block buster it had been a Youtube video, democrats would of actually pretended like it deserved some credit for somthing. Why Don’t Asians Care About the Oscars? When I was a child, I spoke as a child, I understood as a child, I thought as a child: but when I became a man, I put away childish things.